For companies looking for entertaining methods for team building and employee appreciation, THEY improv provides a variety of fun approaches for murder mystery dinners in Miami Beach for a variety of groups and gatherings. 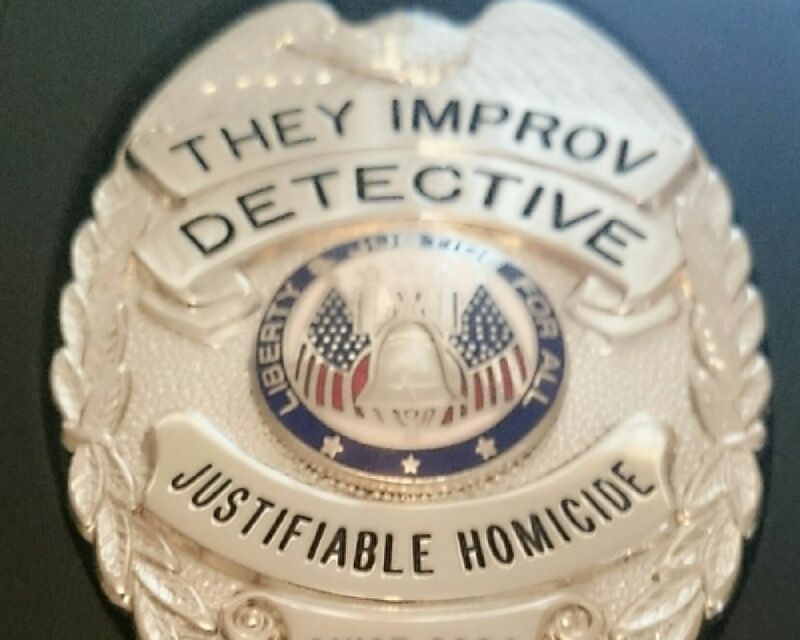 Hire THEY improv for a customized Miami Beach murder mystery dinner show just for your South Florida corporate event or private party. Yes, the perfect way to enhance any gathering is a customized Miami Beach murder mystery dinner show or lunch written just for the group and venue involved. Perfect for South Florida corporate events, team building workshops, private parties, weddings, family gatherings, dinners or charity fundraising! Actors from THEY improv come together and set up a murder mystery dinner or lunch that the audience helps to solve. 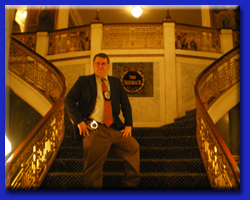 Interacting directly with the participants of the corporate event or private party, attendees help examine clues, evaluate witnesses and alibis, choose from a variety of suspects and determine the identity of the culprit. Likewise, the scripts can be adjusted to bring your audience members under suspicion. They can be interrogated and engaged in a roast type of environment. They can be found innocent by the audience with them getting applause. If you prefer, we can keep them as key suspects by using information known about their past to dig them deeper into the Miami Beach murder mystery. We work local issues into the plot. So whether you are on Lincoln Road, up Alton, in the Art Deco District or even Bal Harbour, wherever in Miami-Dade County, we'll have a show tailored for you. 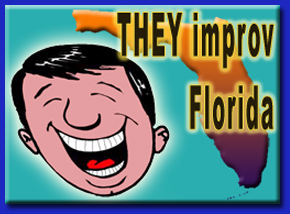 THEY improv has been providing top-notch entertainment in South Florida, and we can do so for your needs. Because each and every show is completely individualized, you will need to contact us directly to receive a quote. 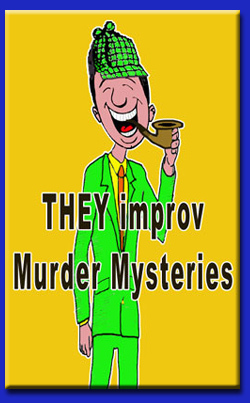 Contact us today to learn about how THEY improv can bring you the Miami Beach murder mystery dinner show that will have all your friends raving about for years! THEY improv is proud to provide these services throughout the area including Lincoln Road, Alton, Ocean Drive, Collins Avenue, Espanola Way, Washington Avenue, Palm Island, Hibiscus Island, Fisher Island and the Convention Center in SoBe and the rest of South Florida. Get more information or for a quote by email at info@THEYimprov.com or call (305) 948-7750.